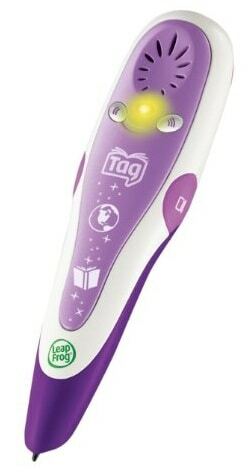 The LeapFrog TAG Reading System in Purple is on sale for $23.12 at Amazon right now. That's 42% off the list price of $39.99! Also on sale is the LeapFrog Tag Activity Storybook: Tangled Disney's story of Rapunzel for just $9.79. That's 30% off the list price of $13.99!